New Planning Laws 2013 Guide. Planning Permission for House Extensions. From 2013 to 2019. Neighbour Consultation Scheme will apply if you want to build a House Extension that extends to 8 meters for a detached house or 6 meters for all other houses. Permitted Development guidelines have recently changed. The the amount you are allowed to build a new House Extension has increased for a total of six years from the 30th of May 2013. This is great news for Homeowners and Property Developers across the country. This change is a much needed boost to the construction industry and the general economy as well. At Builders GB we have been kept very busy since the New Planning Laws 2013 came into force. We have experienced an increase in demand for our services by Homeowners and Property Developers wanting to take advantage of this new but temporary change to the the Planning Laws. We have increased staff numbers from 70 to 100. Our Projects are up by 40% compared to this time last year. Our advice is be quick and plan well. Any new structure around your home or attached to your property is an investment worth making. This information is a guide only. Existing house means the original house, the way it was built to start with. Changes to the original house could have been made before by other owners. Sometimes it is hard to tell if a house has been extended or altered in any way. Please refer to your house deeds and other information held inside the property archives within your local council to double check everything before you proceed with any Permitted Developments. Builders GB do not take any type of responsibility and have provided this information in good faith and as a guide only. More detailed and precise information is freely available from your Local Council. 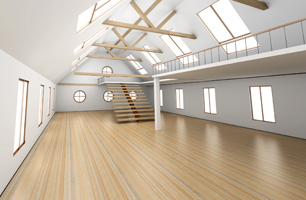 For a Design and Build quotation call us 0207 205 4222 or Click Here. Builders GB can take care everything for you. The House Extension does not extend beyond beyond 3 meters from the rear wall of your house – Attached Property. The House Extension does not extend beyond 4 meters from the rear wall of your house – Detached and Semi Detached Properties. The Extension should not be built to the part of your home which faces the road. A maximum of a single storey rear House Extension is allowed on Conservation Areas and other types of Designated Land. Double storey House Extensions or bigger should not go beyond 3 meters from the rear wall of the property. New structures should’t be higher than the roof height of the highest part of your home. Any additional new structures shouldn’t cover more than half the land around your property with Extensions, Garages or Garden Houses and other buildings. The height of the Extension/s should be less than 4 meters. Extensions built within 2 meters of a boundary wall must not have a eaves height higher than 3 meters. Any extensions to the side of properties must be single storey and have a maximum height of 4 meters. Side extensions to have a width on no more than that of the original house. Double or two storey Extensions should not be closer than 7 meters from the rear boundary wall. Roof pitch and materials of any extension up to the roof level of a property must match the original house. Any materials used must match the existing property for any alteration. No raised platforms, Balconies and Verandas. Side facing windows on upper floors must be obscured glass. Window openings on upper floor must be above 1700 mm from floor level. 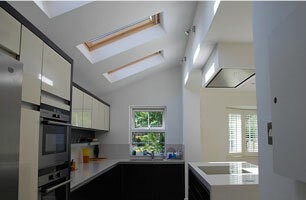 If a house extension extends between 4 and 8 meters for a Detached Property. Or between 3 and 6 meters for all other types of Properties then the owner/s must notify their Local Council. The council will send a letter to your neighbours to make sure that they agree with the House Extension proposal. a. Written details of the Extension which include all sizes and dimensions. c. All neighbouring property addresses connected to your property boundaries, left, right and rear. d. The plan of the site where the works will be carried out. These details must be handed in to your local council and to confirm with the Neighbour Consultation Scheme. The good news is that there is no fees payable to the council for this. The council may ask for more information if they need more specific details. They will serve a notice on all adjoining owners or occupiers including the developer. The notice will include details of the proposed development. The notice will include some of the past and current Town and Country Planning Laws and other information. If any of the neighbours object to the notice within 21 days of receiving it the council will take this into account. They will follow up with a decision on whether the impact on the amenity of the adjoining properties is fair only. They will not delve into or open up any other issues regarding the proposed development. The developer/homeowner can appeal a declined decision. The council will notify the developer in writing stating that no objections were raised. The council may include the fact that there will be little impact the area and any changes are acceptable. If the council does not correspond within a 42 day period then the development can legally go ahead and be constructed. 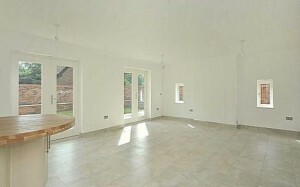 Builders GB are professionals in all area’s of Construction and Planning. 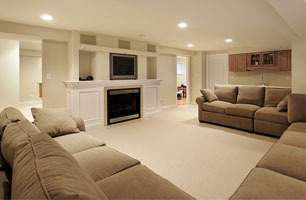 We can help you to gain the maximum space and potential from your home. Our staff include Architects and Building Consultants who can help in every step of Planning Applications or Permitted Development Applications. We gain our clients more Lawful Development Certificates than any other construction company in London. Builders GB liaise with your local council for you and we make sure that all the paperwork and required information is fully in order, saving you time and money. Call us for a complete and reliable Design and Build service and see for yourself why we lead in providing the best building services in London.